Although the deadline to shut down all North Korean companies in China is Jan. 9, some North Korean restaurants in Beijing are still accepting reservations beyond this date. Some companies have evaded sanctions by changing their ownership structure and transferring majority stakes to Chinese investors, people with knowledge of the matter said. China's Ministry of Commerce said in a statement in late September that it was giving all North Korean businesses in China, including joint ventures with Chinese partners in which North Korea is the majority stakeholder, 120 days to close as the UN Security Council tightened its screws on Pyongyang. The tough sanctions, designed to cripple trade between North Korea and its main trading partner, came after Pyongyang carried out a series of nuclear and ballistic missile tests last year. Haedanghwa, one of the oldest North Korean restaurants in China with several branches in Beijing, is one of them. "There is no change" in operations, an employee, who wished to remain anonymous, told Caixin. 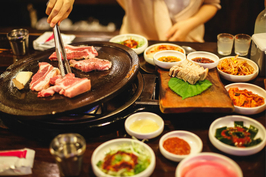 Another staff member at Haedanghwa told South Korean media outlet Joongang Daily on Jan. 8, "our restaurant owner is Chinese, so we are not affected by sanctions." But other joint-venture businesses including the Chilbosan Hotel in Shenyang, Liaoning province, have folded under last-minute pressure, according to South Korea’s Yonhap News Agency. The hotel, whose business registration documents identify a Chinese company as the main stakeholder, removed its original signboard this morning to stay under the radar and announced its closure in the evening, South Korean media outlet Dong-A Daily reported. In addition to the ownership loophole, there is also a difference in the attitudes adopted by local government authorities in different Chinese cities and provinces when enforcing closures. 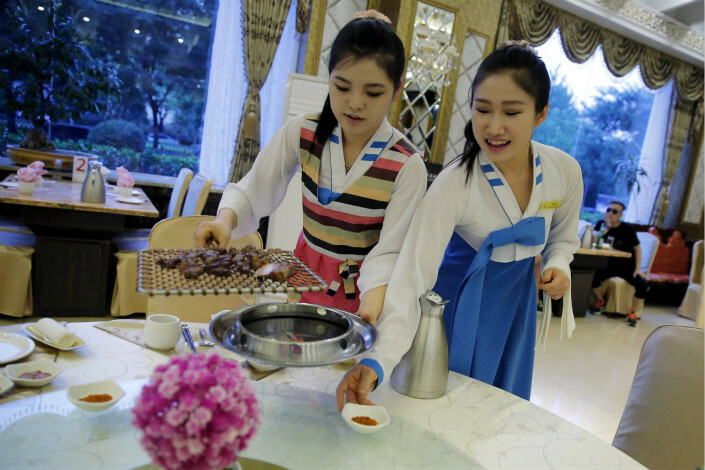 Shanghai has shuttered about 10 restaurants including Chengluguan and Goleguan, but in Shenyang only two out of the 10 North Korean restaurants in the local Koreatown have shut down as of Jan. 8, Joongang Daily reported.